Aas-Jakobsen designs any kind of steel structure within the company’s business areas, in accordance with national and international design standards. In our design work, we use recognised steel analyses and design tools, as well as software that we have developed ourselves. We pay just as much attention to the detailed design of the big cross sections as to the tiniest details. The company’s steel drawings are well-known for their level of detail and easy readability, even at design drawing level. Through its many years of experience, Aas-Jakobsen has also built up a large database of typical steel details which have been used on previous projects. These allow us to prepare and guarantee good steel solutions for most types of structures quickly and efficiently. 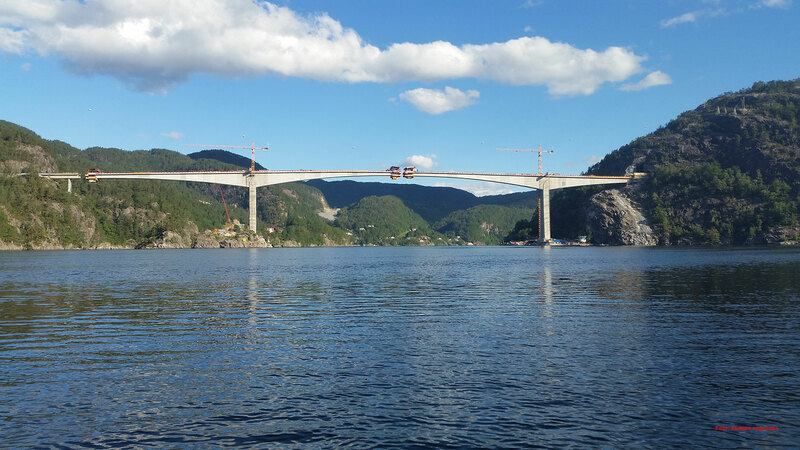 In the field of typical steel bridges, Aas-Jakobsen is best known for long-span suspension bridges, for which we have references from national and international bridge projects, such as the Triangle Link (Storda Bridge and Bømla Bridge) and Chacao Bridge in Chile. 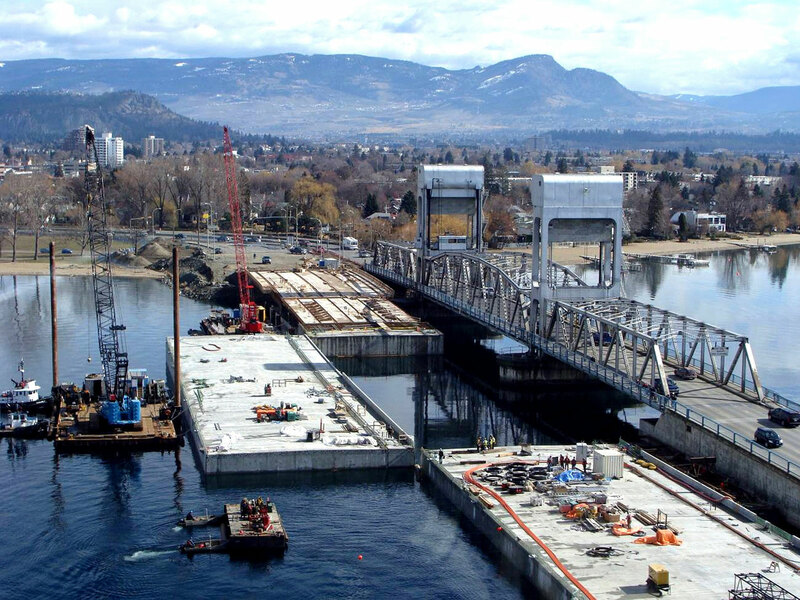 We have also designed cable-stayed bridges, arch bridges, movable bridges and floating bridges in steel. Aas-Jakobsen designs every kind of concrete structure. Through its international activities, Aas-Jakobsen has built up expertise in all the most important applicable standards. We have used specially developed design tools, some of which we have developed ourselves and others which have been developed by external parties. For example, Aas-Jakobsen has developed NovaDesign, a general concrete design software. Through national and international projects, Aas-Jakobsen has also expertise in high-strength concrete and high-strength lightweight concrete. 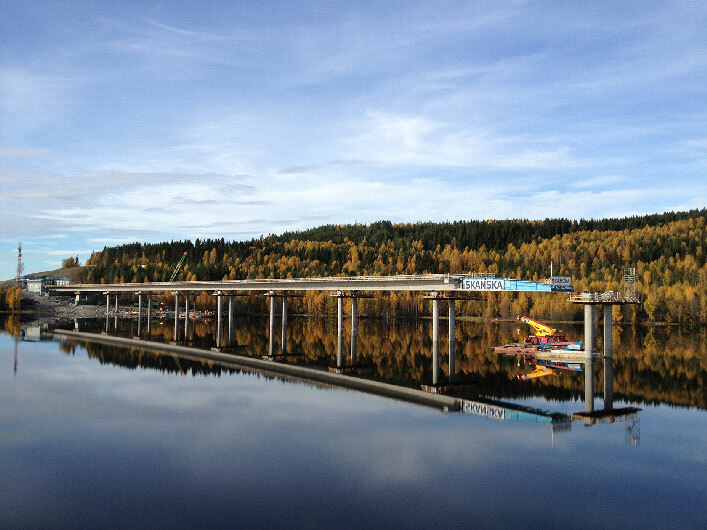 Traditionally, Aas-Jakobsen has designed many cantilever bridges in concrete, including the Tverlands Bridge and Sandsfjord Bridge. We have over 50 bridges of this type in our portfolio. We have also designed many box girder bridges, beam bridges, plate girder bridges, arch bridges and retractable bridges in concrete. 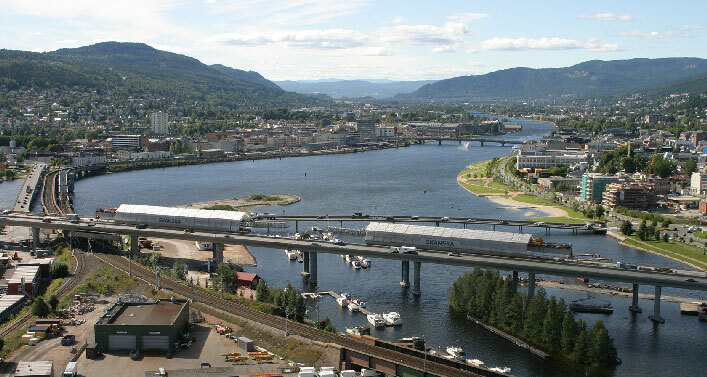 These include the Drammen Bridge, Gulli Bridge and bridges along the Gardermobanen. Timber bridges have become popular in Norway in recent years because they are aesthetically pleasing and good for the environment. One such timber bridge designed by Aas-Jakobsen is the Bjørgum Pedestrian Bridge in Voss. 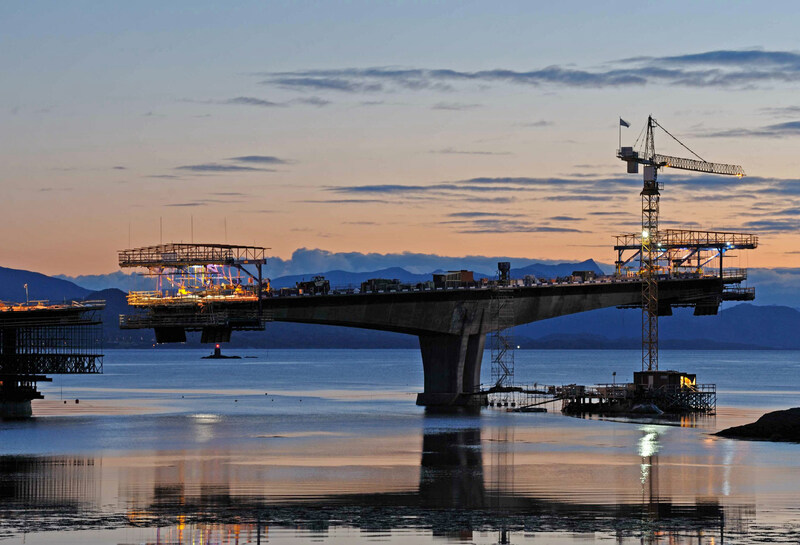 For some years now, we have also been working on the development of a timber bridge concept for the new Mjøsa Bridge.